Risk diversification or loss of confidence? Despite the sliding ringgit and rising property prices, interest in overseas properties among Malaysians continues. Some investors are expected to “reorganise their investment baskets,” according to property consultants. CH Williams Talhar Wong & Yeo deputy managing director Danny Yeo says as a result of the weak ringgit, he is seeing new clients entering the market and previous ones opting out. “I am also seeing younger couples who are buying in order to finance their children’s education. By the time the child grows up, the sale of the unit may be able to finance two children’s education because a one-bedroom unit is between £400,000 (RM2.28mil) and £500,000. They reckon that the value of the property will grow in tandem with the cost of living and the tenant will help to pay for it,” he says. Yeo says if Malaysians are buying off-plan, by the time the property is completed, the concern is that they may not be able to finance the mortgage, at RM7 to a £1 instead of the current RM5.70 or RM5.80. He says a good spread has opted for a ringgit loan as opposed to a sterling pound loan. They will need to analyse their credit risk in view of the recent rout on the market, he says. A banking source expects prospective buyers to put their decision on hold, or may opt to invest in the local property market. After having aggressively marketed London and Australian properties the last six years, some of the property consultancies have also broadened their focus to include the United States and Japan before the rout on Asian currencies earlier this week. One of them was also embarking on promoting South-East Asian properties, after six years of promoting London residentials. Although the interest continues, “a lot of people who have money locally are currently strapped,” Knight Frank managing director Sarkunan Subramaniam says. “They have to pay more for the same property,” says Sarkunan, who markets “high-end” properties priced between £800 and £2,000 per sq ft in the UK. The interest in buying abroad started strongly in early 2009, after the 2008 global financial crisis. The objective of parking surplus funds abroad is two-fold – risk diversification and to house school-going children – real estate personnel concur. The rout on the currency market and its effect on the ringgit may also result in “a lot of wait-and-see” and “looking around”, says Sarkunan. If the domestic environment were conducive, they would have “stayed put”, says a source. Added to the weakening ringgit is the rise in property prices in Britain and the United States, which are expected to surge for the rest of the year. Other destinations of interest include Singapore. Savills KL deputy managing director Paul Khong says investors from all races want a strong currency to house their money and/or investments with capital appreciation in mind. The risks are always much less in properties, says Khong. “They are hedging their risks. Many are reorganising their investment baskets with more emphasis on overseas properties that can provide an income stream compared with pure forex investments,” he says. Issues like a free market and stamp duty affect decisions. 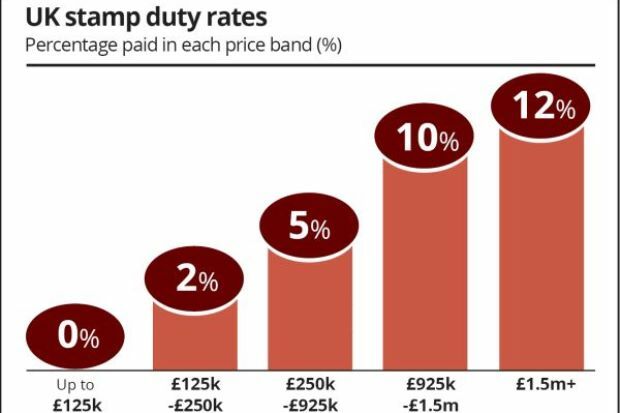 In December 2014, a minor change to the stamp duty calculation in the UK resulted in stamp duty savings for properties under £937,500. In Singapore and Hong Kong, the stamp duty rates can be as high as 18% and 23% respectively, Sarkunan says. Singapore was a popular destination due to its close proximity but with the introduction of the Additional Buyer Stamp Duty applicable to foreign investors at 18%, demand has since subsided, says Sarkunan. The UK is popular with investors because there are no restrictions on selling whereas foreign purchasers can only buy off-the-plan and can re-sell only to local Australians. London, therefore, is a freer market. London, says Sarkunan, is compelling because aside from the international allure, there is a shortage of housing, which in turn, creates a huge rental market. Sarkunan says a pick-up in population growth in Sydney and Melbourne has coincided with a period of solid house price gains. Seven years after the 2008 global financial crisis, certain western nations may be resuming their role as drivers of international growth, the Financial Times (June 11) says, quoting World Bank. After a sluggish start to the year, “a broad-based slowdown appears to be under way in developing countries,” World Bank says. Malaysia University of Science and Technology School of Business dean Dr Yeah Kim Leng says emerging countries want to hedge their currencies and economic uncertainties because these affect returns. They want diversification and higher returns, he says. “Safe havens are safer after a downturn. The recovery will be faster, which gives investors comfort. Their losses will be cyclical. Because of the steady rise in property values, it has given investors that kind of comfort but there are still risks, which have been ‘masked’ by UK’s economic performance and the May 7 election,” says Yeah. The impending normalisation of US interest rates, which will increase volatility in the emergig markets, is also not helping (the emerging markets). One of the risks is over-valuation. The questions to ask, says Dr Yeah, is why do emerging markets need to get out of their own currency? In the case of Malaysia, the people are affected by the sharp fall in oil price, the goods and services tax, inflation which had led to currency depreciation and other negative news, he says. Is it risk diversification or a lost of confidence? And where are these investments being channeled? “Most Malaysians don’t have that luxury unless they have surplus. Their risk will increase and they have to increase their monitoring. Although the currency has been battered to the previous pegged value of RM3.80, the under valuation will self-correct (in time) but in the short term, it will result and exacerbate the slide,” he says. Yeah says over the short term, it is bad news but investors with a longer term view will take the opportunity to buy Malaysian assets. There are opportunities for Malaysians to put their money into foreign currency accounts which will help to stem capital flight. The important thing is - does Malaysia have the capacity to absorb the derailment in the world’s growth? Will it impede foreign investors in the country? If not, capital outflow will be compounded with capital flight. But statistics does not suggest any of these two fears, says Yeah.